iPhone models released in 2019 and later will likely feature an upgraded TrueDepth camera system that will consume more power, resulting in a need for larger-capacity batteries, according to KGI Securities analyst Ming-Chi Kuo. In a research note obtained by MacRumors, Kuo said Apple has technologies at its disposal to develop larger-capacity batteries. Kuo unsurprisingly expects Apple will use these technologies to continue increasing iPhone battery capacities in 2019 and 2020, as it routinely does, which should result in even longer battery life for future models. Kuo reiterated that TrueDepth will be expanded to a trio of iPhone models next year, including a new 5.8-inch iPhone X, a larger 6.5-inch model we're calling iPhone X Plus, and a new 6.1-inch mid-range model with an LCD display, but it sounds like the facial system will remain unchanged in 2018. As far as next year is concerned, Kuo previously said the second-generation iPhone X could have a one-cell L-shaped battery that would provide up to 10 percent additional capacity compared to the two-cell battery in the current iPhone X, which of course could result in slightly longer battery life. He added that next year's so-called "iPhone X Plus" is likely to retain a two-cell battery design, but the larger size of the 6.5-inch device will still allow it to have a higher capacity in the range of 3,300 to 3,400 mAh. Apple is expected to release the new iPhone X and iPhone X Plus in its usual timeframe of September to October next year. It's not the only thing that will necessitate larger batteries, given the iPhone CPU throttling "for battery reasons" nonsense. If they already need to throttle 1 year old devices to keep battery life at a reasonable level, I don't hold much confidence for future models. Until they changes their way of thinking that a slow phone is better than one with poor battery life, I won't be spending £1000+ on something that in a year may only have 30-50% of the performance it has new. We need newer/better battery technology. We need a fatter iPhone. 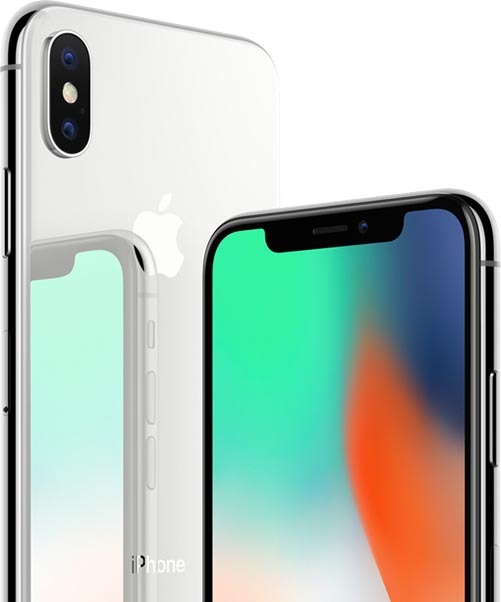 It's crazy that there are rumors of the 2019 iPhone X that I will likely purchase that year to replace my iPhone X that is not even two months old. Since it's confirmed Apple slows down old iPhone due to battery wear -- and since you can't pay them to replace a degraded battery unless they consider defective I guess I'll be paying in 2019 unless I try another Android phone. Bigger battery means more CPU throttling :D whatever Apple. Larger battery wouldn’t solve that issue. Let's try and find out. Meanwhile, a class action lawsuit might solve some Apple C-suite management issues as well.